The Hawthorne Hotel in Salem, Massachusetts came to be as the result of a community effort begun on May 27, 1921 at a Salem Rotary Club meeting. It was then that George Hooper, Salem Laundry owner, lobbied the importance of building a hotel in Salem. 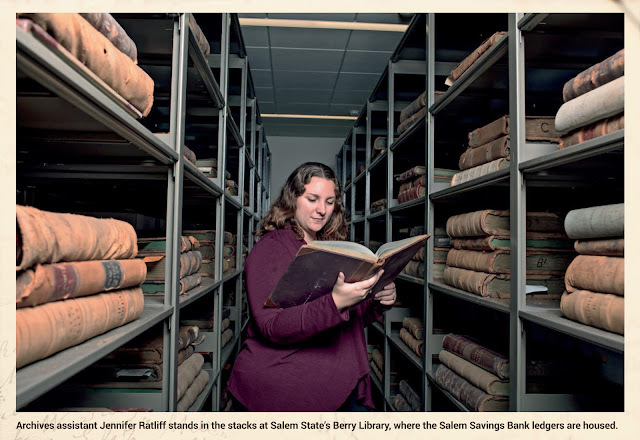 At the time, Salem was bustling with tourists and businessmen, who were unable to find lodging and would therefore leave the city, stifling Salem’s economy. Following this meeting, the Rotary Club appointed Frank Poor of the Hygrade Lamp Company (Sylvania) to assist Hooper in drawing up a proposal. 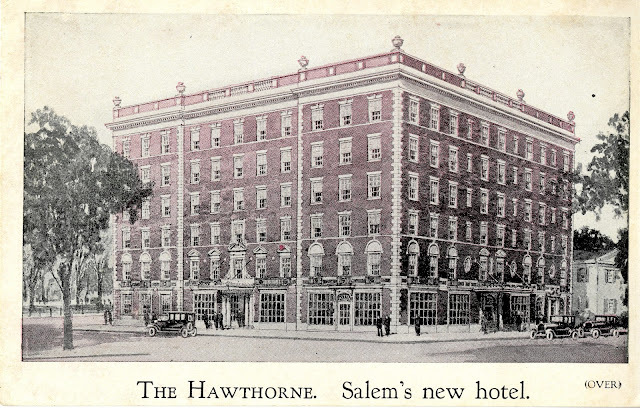 Incorporated on August 27, 1923, the Salem Hotel Corporation began with a 52-member committee consisting of Salem business owners and philanthropists who all believed in the importance of building a hotel in the city. In July of that year, fundraising for the new hotel kicked off with a group of 175 volunteer businessmen, all strategically trained to sells stocks by the Hockenbury Co. of Harrisburg, Pennsylvania, which was brought in to manage the campaign. The volunteers were divided into 16 competitive teams. A rally was held at the Salem YMCA on July 16, 1923 to celebrate the beginning of the fundraiser. Daily meetings continued there to discuss sales results, which were posted on a large billboard in Town House Square. Results were also advertised in the committee’s “Ho! Tell!” literature. On the first day alone, $500,000 was raised, more than half of the original $750,000 goal. By the end of the week long campaign, the total raised was $527,000. Following the fundraiser, planning for the new hotel began with location proposals. The Franklin Building, sitting at the corner of Essex Street and Washington Square was offered by the Salem Marine Society with the condition that a room would be built on the hotel’s roof for exclusive use by the Society. This proposal beat out a suggestion to build across from the police station, at the corner of Front Street and Central Street. The Franklin Building was razed and construction began on the Hotel in June 1924 with contractors Pitman and Brown and architect Phillip Horton Smith, of Smith and Walker, in Boston. Shortly before the Hotel’s completion, an additional $90,000 was raised to expand the ballroom and reduce the Hotel’s mortgage. Members of Salem Hotel Corp. donated goods from their businesses. 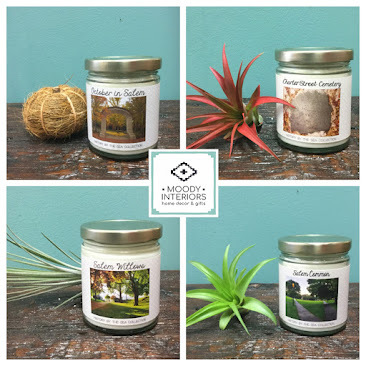 Hygrade Lamp Company supplied lightbulbs and Naumkeag Steam Cotton Co, provided sheets. Simultaneously, inspired by the success of the Hotel’s fundraising, $10,000 was raised by the Hotel’s salesmen for the Hawthorne Memorial Association, which was looking to buy a statue of Nathaniel Hawthorne by Bela Lyon Pratt from the Museum of Fine Arts in Boston, with plans to place it on the newly completed Hawthorne Boulevard, adjacent to the Hotel. The statue was moved to Salem and dedicated in December 1925. The Hawthorne Memorial Association’s chairman, Judge Alden White, suggested the Hotel be named in honor of Nathanial Hawthorne, as it was situated near so many significant places from the author’s time in Salem. Earlier than expected, the Hawthorne Hotel opened to much fanfare with a multi-day celebration. On June 21, 1925 a parade was held that included the Salem Cadet Band, Salem Chamber of Commerce, Salem Rotary Club, and other local organizations. After the parade, Frank Poor and Mayor George Bates raised the American flag for the first time upon the roof of the Hotel. Over the following days, private parties were attended by stockholders and contractors responsible for the Hotel. On July 23, 1925, a banquet was held in the ballroom to celebrate the public grand opening of the Hawthorne Hotel. Over 400 people were in attendance and dined on delicacies of the time, including turtle soup. The Salem Evening News reported that in a single day, as many as 2,500 people toured the Hotel during its opening week. Just a few short months after opening, the Hawthorne Hotel hosted its first wedding. Lucretia Johnson Perkins wed William Russell Burns on October 17, 1925. The couple had met while Burns was working as one of the principle architects during the Hotel’s construction. In the late 1940’s, the Hotel purchased the Crowninshield-Bentley House at 106 Essex Street, located directly behind the Hotel. The House was built in 1724 for Captain John Crowninshield and was home to the Crowninshield family for multiple generations. The House has additional historical significance due to Reverend William Bentley, who boarded with the family from 1791 until his death in 1819. In 1959, the Crowninshield-Bentley House was donated by the Hotel to the Essex Institute (Peabody Essex Museum), which relocated the building across the street to 126 Essex Street. At this time, in order to modernize, the Hotel changed its name to Hawthorne Motor Hotel and added a parking lot in the Crowninshield-Bentley House’s previous location. The Hotel continued to thrive as a local gathering place, hosting weddings and community functions. 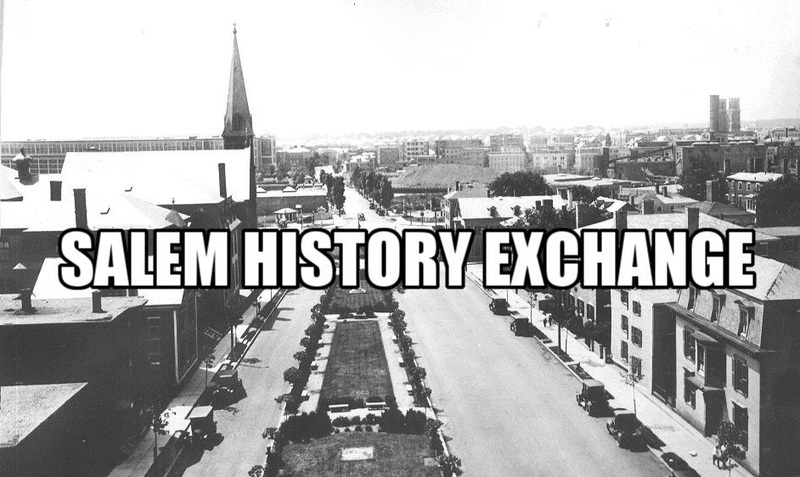 In the 1960’s the Hotel began offering dance lessons in the ballroom with legendary Salem instructor, Harriet James. Large annual celebrations showcased the student’s abilities. In June 1970, Hollywood came to Salem with the filming of Bewitched. The cast and crew stayed at the Hotel while filming in the City and nearby Gloucester, even filming some interiors in the Hotel, most notably the lobby’s elevators. The Hawthorne Motor Hotel, as it was called, appears in name and can be seen in the background during travel scenes however, the Hotel’s façade was replaced with a Hollywood set. 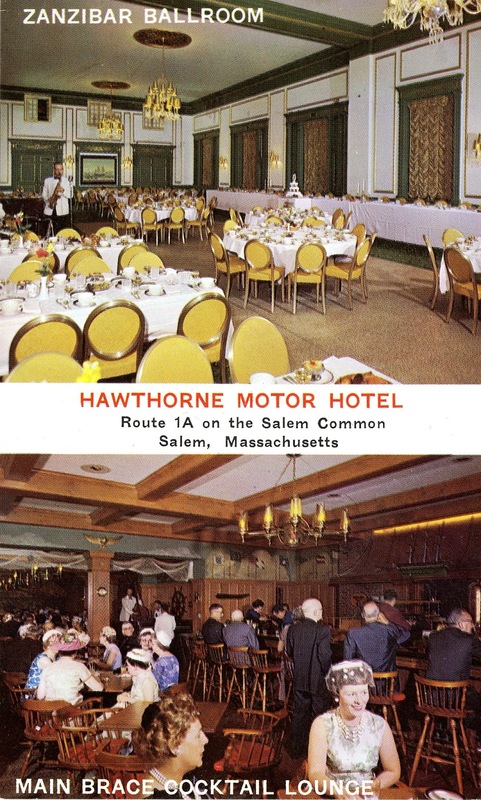 Towards the end of the 1970’s, the Hotel once again altered its name, this time to The Hawthorne Inn, which it remained until 1989 before finally reverting back The Hawthorne Hotel. On October 30, 1990, a séance was held in the Hawthorne Hotel’s grand ballroom in hopes of summonsing the spirit of Harry Houdini on the 64th anniversary of his death. Despite being unsuccessful, this séance lead to the introduction of the annual Halloween Party, which premiered in 1991. The month leading up to Halloween is now the Hotel’s busiest month. In 2003, the Hawthorne Hotel purchased the Suzannah Flint House located behind its parking lot. The home had served as a Bed and Breakfast until its purchase by the Hotel. Upon acquiring the Suzannah Flint House, the Hotel began researching its name and discovered that the house had been misnamed for one that had stood nearby. In 2011 the Suzannah Flint House was renamed for Fidelia Bridges, a famous painter who had once resided there. The building now serves as a Guest House for the Hotel.